Four top Italian beauty brands have joined Tmall Global, looking to capitalize on the growing demand among Chinese consumers for imported cosmetics and skincare products. Deborah Group, Kiko, Diego dalla Palma Group’s namesake label and its RVB Lab brand launched on the dedicated cross-border e-commerce channel, owned by Alibaba Group, with eyes on a market that reached $3.7 billion as of March, up 27% from the same period two years ago. Tmall Global allows international companies to sell into China without establishing a brick-and-mortar presence in the country, giving them access to an instant customer base of 552 million users. About half of those consumers are under the age of 30, according to Alibaba, and increasingly use their rising spending power to buy luxury goods, such as beauty and personal-care products. “China is one of the fastest-growing markets, and thanks to the prestigious shop window provided by Alibaba Group’s Tmall Global, we aim to boost growth in that area,” said Kiko CEO Cristina Scocchia. “We estimate revenue of about EUR 50 million ($58.5 million) over the next three years, potentially generated from the e-commerce channel in China, which would significantly expand our presence in the East,” she said. Kiko has been among the most-popular cosmetics companies in Italy over the past half-decade, while Diego dalla Palma and its RVB Lab are known for premium makeup and skincare, respectively. Deborah Group, a legacy Italian brand in operation for 115 years, offers quality cosmetics at affordable price points. The four brands, known for their lipsticks, concealers and blush, join a number of other Italian names already selling on Tmall and Tmall Global, including Pupa Milano, Bottega Verde, Ganassini and Ganassini’s Rilastil label. 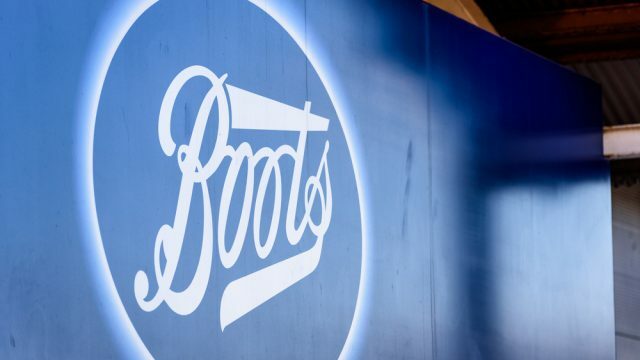 While the opening of their flagship stores has taken place at various points since February, the official announcement came during a cosmetics conference last week, in Milan, that they sponsored in partnership with Alibaba. 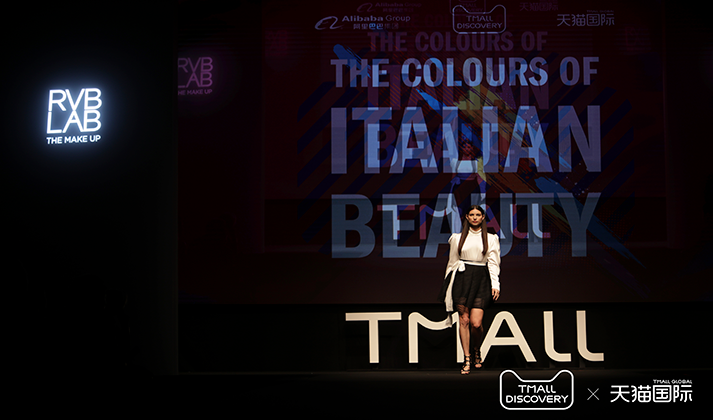 The event, called “The Colors of Italian Beauty” and Alibaba’s first such confab in Europe, was hosted by Tmall Global and Tmall Discovery, which spotlights high-quality products for Chinese consumers. Makeup from Deborah Group (seen here) was on display along with that of partner brands Kiko, Diego dalla Palma and RVB Lab during Tmall Global’s “The Color of Italian Beauty” event. 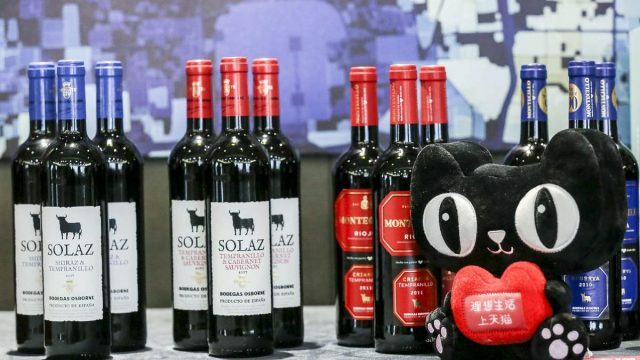 “With Tmall Global’s event, Milan becomes Europe’s capital of beauty, a stage for all companies in the sector willing to expand in China and seize the business opportunities generated from a partnership with Alibaba Group,” said Rodrigo Cipriani Foresio, Alibaba Group’s managing director for Southern Europe. Alibaba positioned itself as a gateway to China in front of about 300 industry insiders, pointing to its leading position in the world’s second-largest consumer market and its ability to target and reach those shoppers. The company also emphasized its New Retail approach, which blends the best of online and offline commerce to better serve customers and brands. New Retail includes all phases of the retail journey, from inventory management and fulfillment to mobile payments and consumer engagement. Kiko’s Scocchia said her company was constantly evolving and looking for innovative solutions that meet the needs of their customers. “We want to enhance our digital presence, testing new technologies to offer a great shopping experience and tailor-made products,” she said. Attendees at the event use a “Magic Mirror” to try on makeup, virtually. Attendees got the chance to test a New Retail technology called the “Magic Mirror,” a digital screen powered by augmented reality that allows users to try on different makeup products through a virtual avatar. In China, where applications such as Magic Mirror are increasingly part of consumers’ everyday life, shoppers can also make purchases through the mirror and have their goods shipped directly to their homes. Alibaba also highlighted another interesting trend in China’s beauty market: male grooming. Chinese men between 18 and 26 are starting to take care of their skin earlier than the previous generation, the company said. 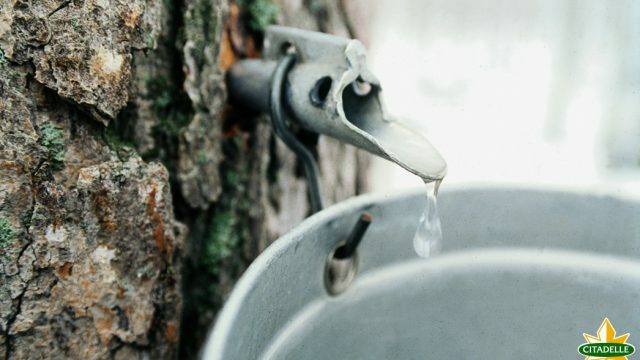 Basic skincare among starts in high school and matures as they enter the workforce. According to Euromonitor International, China’s male skincare and cosmetics market will grow twice as fast as the global cosmetics market through 2019, reaching $285.3 million.